There has been widespread speculation that Rajan quit because of what some termed as “discouraging signals” from the government. NEW DELHI—The Indian Central Bank governor’s decision not to seek a second term in office has raised concerns the country could face a loss in investor confidence and economic volatility. The widely-respected economist, Raghuram Rajan, is credited with making an important contribution to India’s economic turnaround after a choppy phase.In a signal of uncertainty looming ahead of his departure in September, the rupee fell to a one-month low Monday. Widely feted as one of the world’s best Central Bank governors, the former International Monetary Bank economist helped stabilize India’s currency when the rupee was plunging and inflation was raging. As growth momentum returned, the country regained credibility among international investors, who had turned their back on emerging economies. While countries like Brazil and Russia continue to face hard times, India is now the world’s fastest-growing major economy. Aziz said investors will watch to see whom the government appoints as Rajan’s successor and would like to see continuity in policies. “The need of the hour is to calm down market nerves,” he says. Rajan was not without his critics, who said his refusal to slash interest rates, and a clean-up of bad loans he was pushing at state-owned banks, were choking private investment. The most vocal attack came from a member of the ruling Bharatiya Janata Party, Subramaniam Swamy, who raised eyebrows with his comment that Rajan was “mentally not fully Indian” and complained that he had not acted to ease the heavy debt burden of many Indian companies. 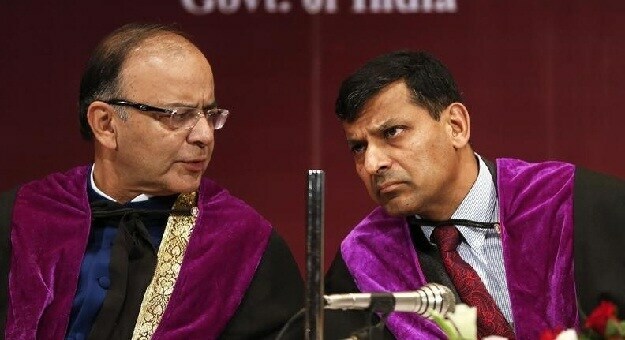 Although India’s economy is growing at over 7 percent and has overtaken China as the world’s fastest growing economy, Rajan has repeatedly cautioned that India’s economic recovery still rests on fragile foundations. Economist Rajiv Kumar at New Delhi’s Center for Policy Research said fears about the impact of Rajan’s exit could be overblown and pointed out that stock markets did not tank Monday as many had feared. “It’s institutions that matter, and the RBI has known to be a very competent institution with huge inherent strengths,” says Kumar. This is really sad to know. Rajan has helped the Indian economy soar high. He is a man with ambition and great personality. Also, IMF says India would outspace China’s slowing economy. So, this should be looked after.